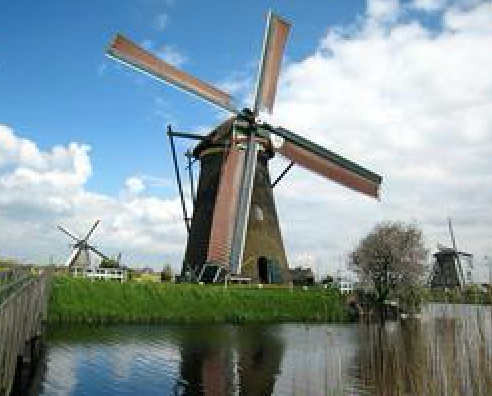 Netherlands is famous by the windmills. 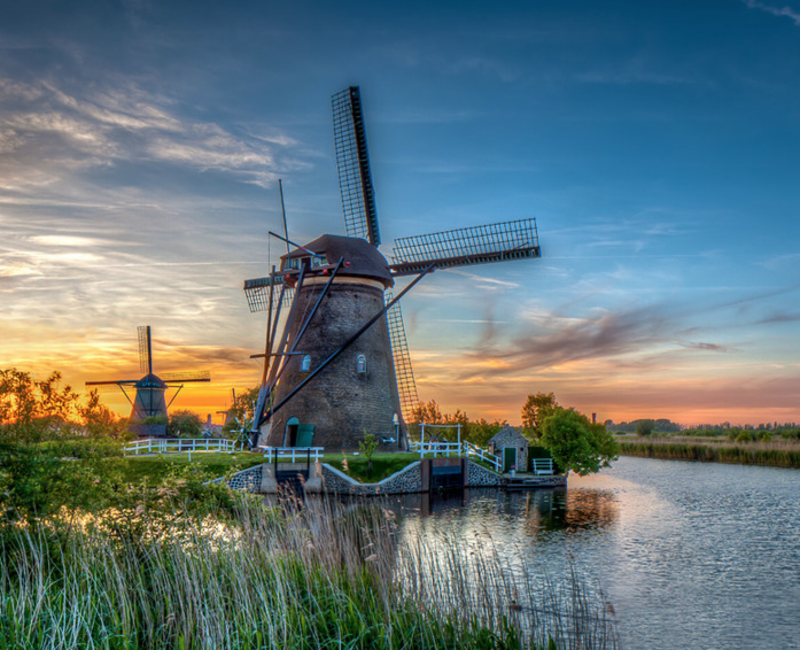 The Mill Network at Kinderdijk is the largest concentration of old windmills in the Netherlands. 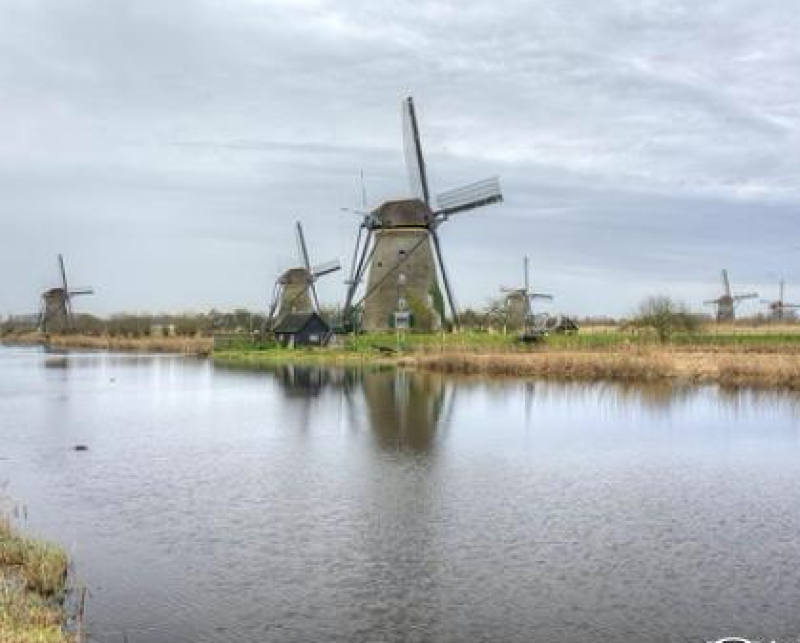 A visit to Kinderdijk gives you the extraordinary opportunity to visit a UNESCO World Heritage in Holland. In 1997, the windmill complex of Kinderdijk was added to the prestigious UNESCO World Heritage list because of its unique character. UNESCO considers the polder area with its dykes, boezems, mills and pumping stations to be proof of human inventiveness in reclaiming and protecting the land. The gorgeous windmills of Kinderdijk are part of a unique phenomenon. Nowhere else in the world can you find the complete history of water management at a single location. The windmills and pumping stations drain the excess water from the Alblasserwaard into the river Lek via the Elshout sluices. Subsequently, the river discharges the water into the sea. 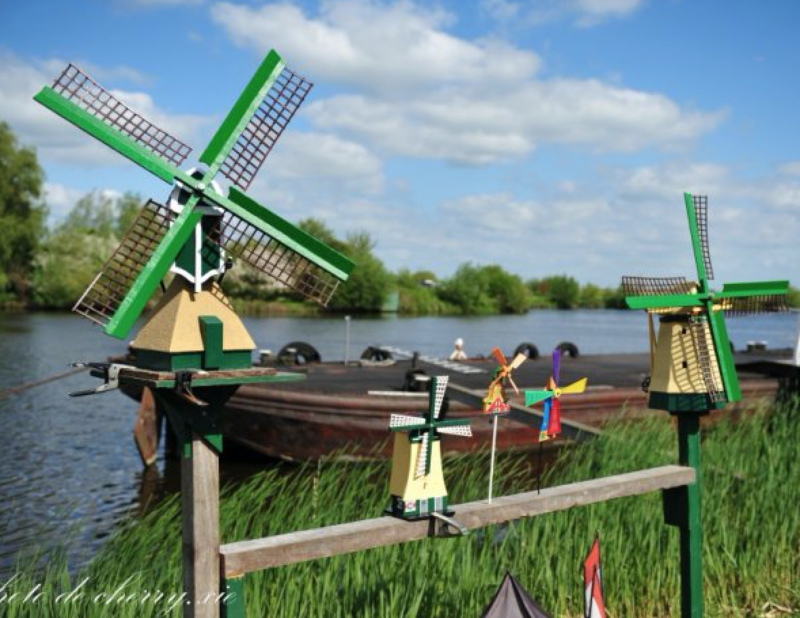 In total, there are 19 windmills that were built in 1740 and located 15 miles east of Rotterdam. One such flood, the Saint Elizabeth Flood of 1421, is both the source of the name Kinderdijk and of the associated fairy tale, "The Cat and the Cradle": after the storm, a wooden cradle was spotted on the flood waters, in which a cat jumped to and fro to keep the cradle afloat. Rotterdam is a vibrant city with many exciting attractions such as Spido harbour tours, the Euromast panorama tower, the historic Cruiser Rotterdam, Rotterdam Zoo. 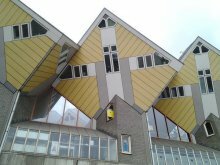 In the cultural field, Rotterdam offers a number of must-see museums such as Boijmans - Van Beuningen (with a great old master collection), the World Arts Museum and the Kunsthal exhibition centre. 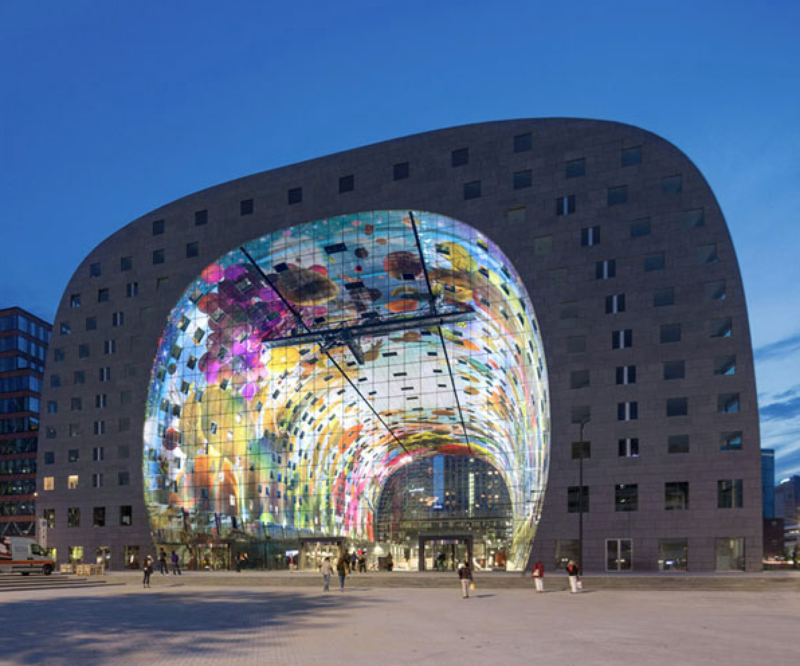 Rotterdam is also a great destination for shopping with a big market square and the stunning Market Hall with fresh produce, flowers and cheese. Rotterdam is a bustling metropolis, which is known by most people for its huge port. In Rotterdam you won't find a historic city centre, as a major part was devastated during World War II. During the last decades the city of Rotterdam has been fully rebuilt with designer homes and skyscrapers under modern architecture. Today, Rotterdam is world-famous due to the mixed maritime scene of historic buildings and modern design like the iconic cube houses and the stunning Erasmus Bridge over the river Maas, which embraces you anywhere in the city. 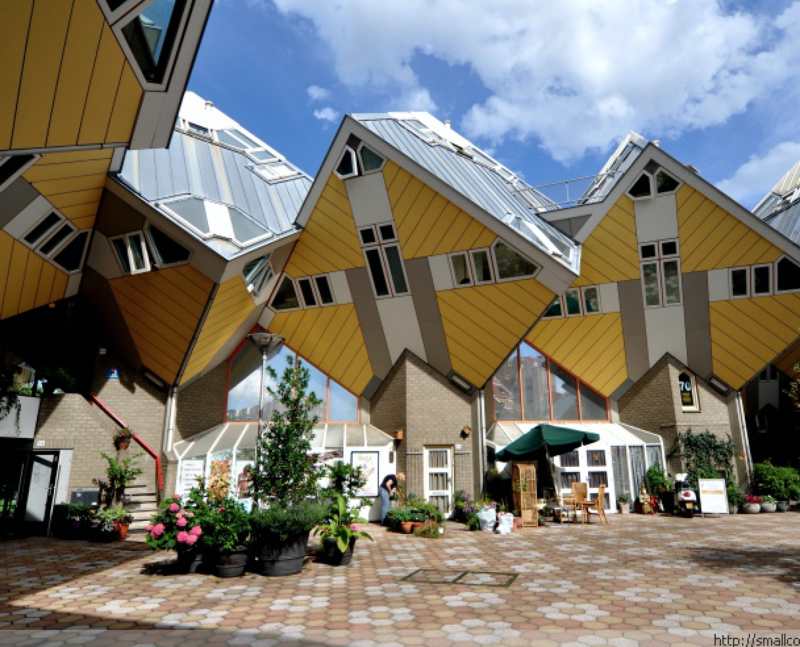 As a tourist in Rotterdam or on a business trip, you'll take one of a kind pictures!